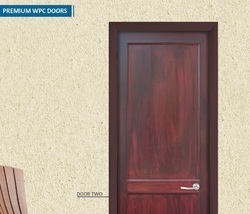 WPC Solid wooden doors from HARDYPLAST WPC. A unique replacement of natural wooden doors in plain format and moulded format. We can offer you WPC (wooden colour), White as well as any custom colours. We provide Solid Doors with matching Solid Door frames also. Packaging Details: PP woven bags with corrugation.